On a trip to London, we set out on a scavenger hunt to find statues of American presidents. In the first two posts, we covered five presidents and six statues (FDR had two), but we ran out of steam on our hunt before we collected our final president – John Fitzgerald Kennedy. We met him on another day. 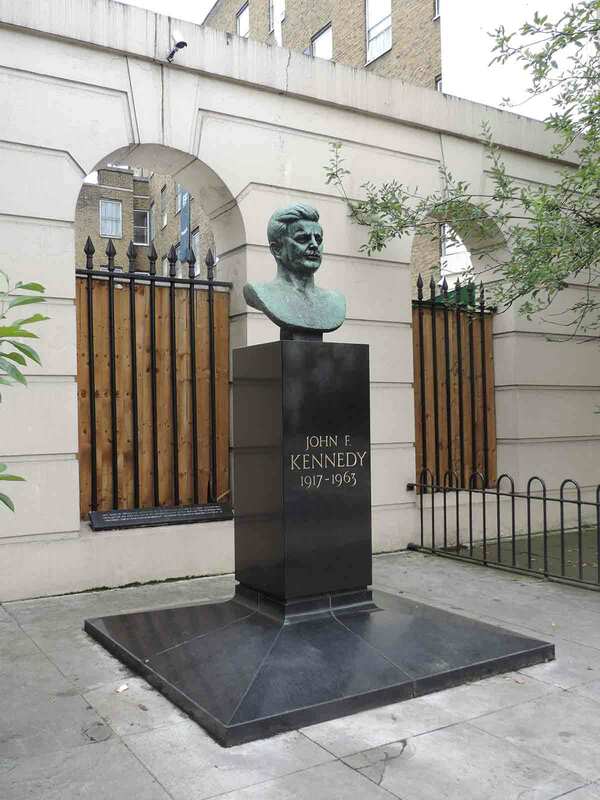 The bust of JFK is located on a busy, busy street, Marylebone Road (it’s near the Great Portland Tube stop). I almost missed it because I thought it would be on the Regent’s Park side of the street. The bust is tucked in a niche along the sidewalk, which I will be honest, smelled a bit like urine. 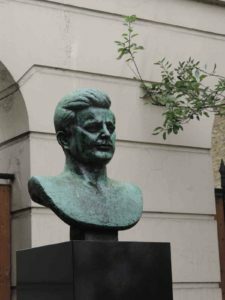 When we visited in 2014, JFK looked very aged with a greenish-blue color. The story behind the JFK bust is quite touching. As you can read on the plaque, “this memorial was subscribed for by over 50,000 readers of the Sunday Telegraph in amounts limited to” one pound. President Kennedy’s brother Robert attended the unveiling in 1965. The sculptor was an American, Jacques Lipchitz. Again, we visited in 2014. As I write this, the bust had been recently removed (August 2017) after being vandalized. According to newspaper accounts, the pedestal looked to have bullet holes. I will update when there are new details about the bust. The famous painting of Washington Crossing the Delaware depicts an iconic moment in American history. 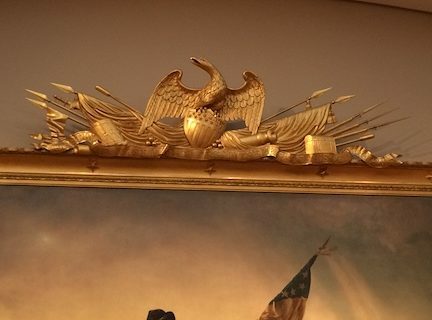 But this monumental painting (both in size and scope) has a good story in itself, including its holiday connection. Check it out in this Nerd Trips post. Part 2 of our scavenger hunt across London to find statues of American presidents. This post includes Lincoln, Washington and another FDR, who is seated with a friend.